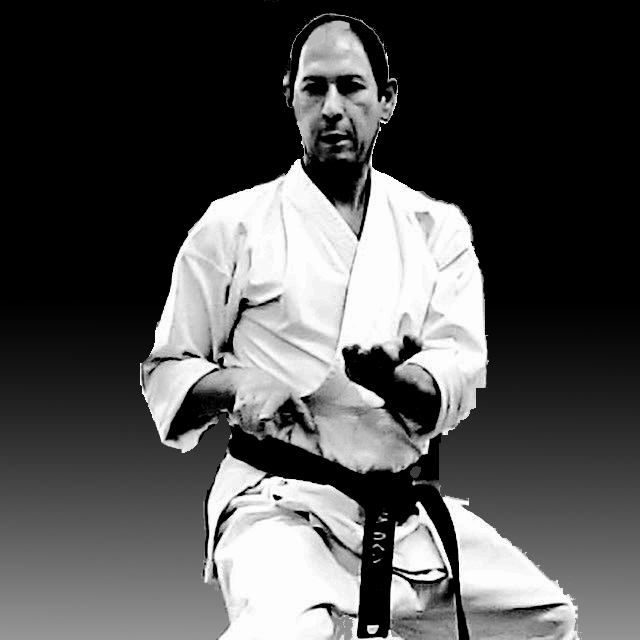 Itzik has Martial Arts experience since mid 70th. Head of TEISHINKAN – Okinawan Martial Arts School. Representative of Kyudokan Okinawa Kobayashi Shorin Ryu Karate-Do Kaikan (Association) in Israel under direct tutelage of Kaicho Higa Minoru. Member of Ryukyu-Kobudo Shimbukan (Okinawan traditional weapons) under direct tutelage of Kaicho Akamine Hiroshi. 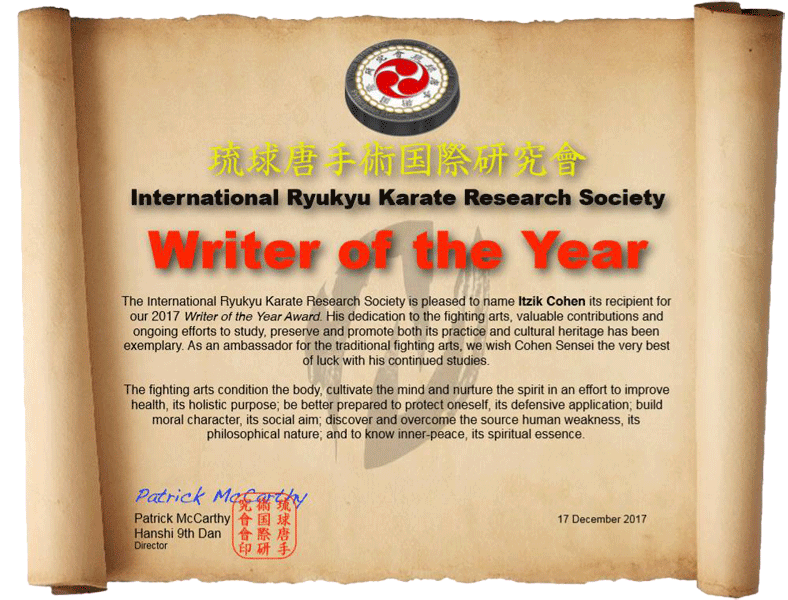 Writer of the book: Karate Uchina-Di 沖縄手. Kyudokan Kobayashi Shorin Ryu Karate. Ryukyu Kobudo Shimbukan - The Art of using Okinawan traditional weaponry. Self Defence and Close Combat. Health practice originated in ancient Taoist method which has evolved and trickled martial arts to improve motion consciousness and physical fitness, posture and movement, flexibility, coordination, body strengthen, breathing, concentration and relaxation. Support group instruction, using martial art components as self-awareness, behavioral, educational, social relations and strategic tool. 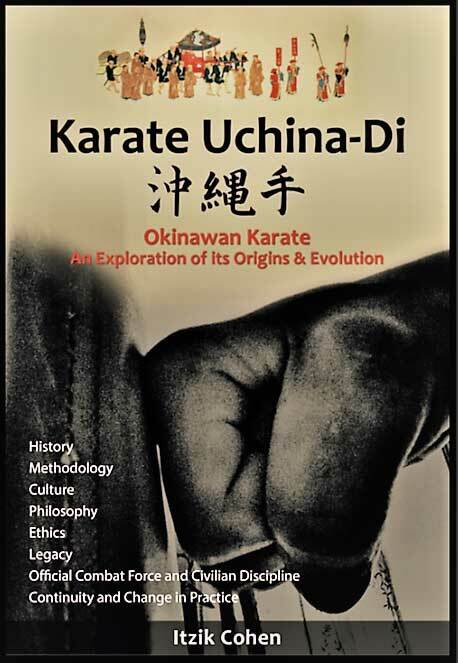 Explores the development of Okinawan karate and published a book: "Karate Uchina-Di", about the evolution of Karate. It is deep comprehensive essay, a fruit of many years of research. Martial Art as a tool for awareness and confidence. Martial Art as an educational and behavioral tool. Martial Art as a strategic tool. Dealing with people, social relations, self-discipline, attention ability, concentration and relaxation. Design, development and software engineering. Background in Qing-Yi (Xing-Yi), Aikido and Koryu Iai-Jutsu. Okinawa Kobayashi Shorin Ryu Karate-Do Kaikan. Head of the Israel Shobu Dojo. Ryukyu Kobudo Shimbukan. 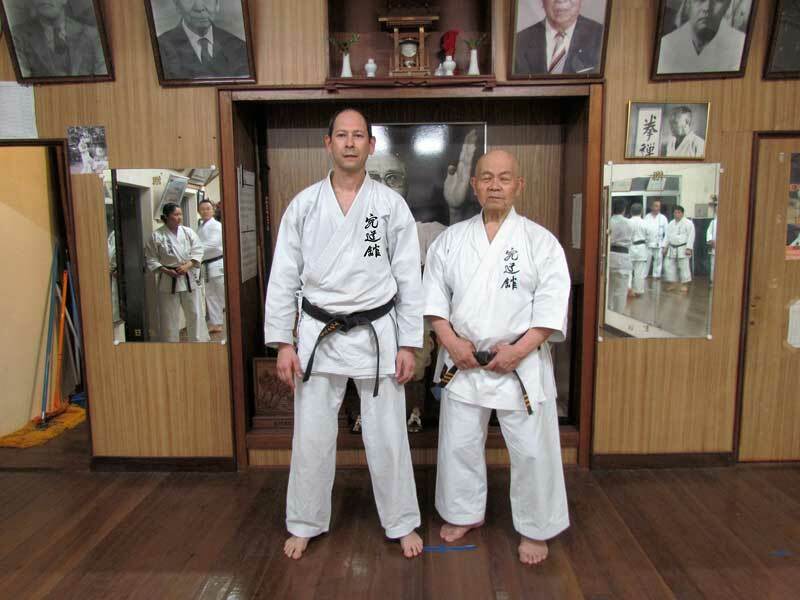 Israel Shobu Dojo (Shimbukan Israeli branch Dojo). Self-Defence training certification - Physical Education Sports Authority\ Wingate Institute. Karate teaching certification - School of coaches instructors\ Nat Holman\ Wingate institute. 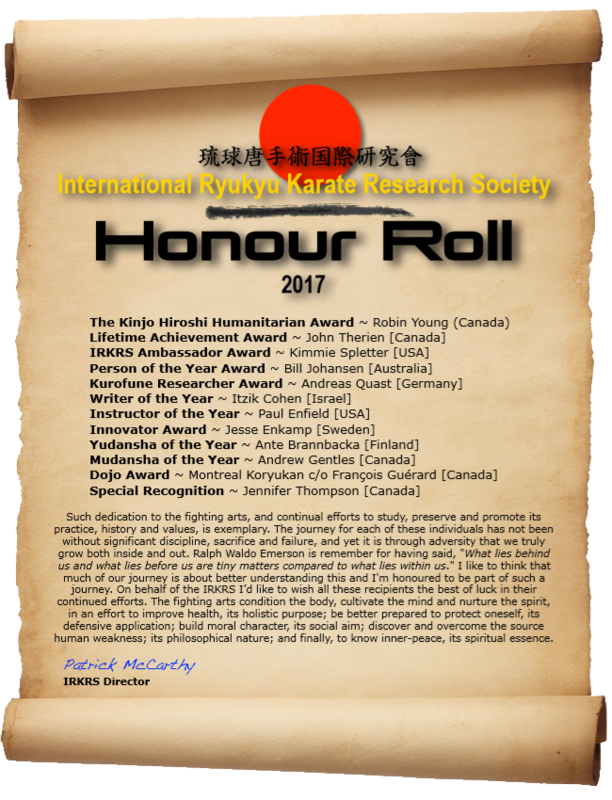 Qualified Karate teacher: International Shito-Ryu Sanshinkan-International. 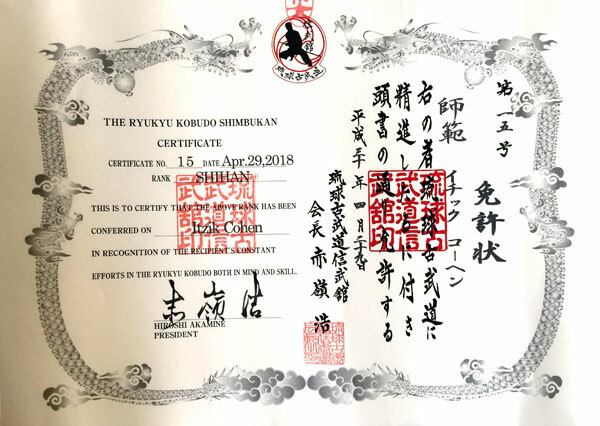 Ryukyu Kobudo teaching certification - Ryukyu Kobudo Shimbukan 琉球古武道信武館. Qualified teacher Practical Self-Defence and Military Close-Combat. March 2002 - Chiba, Japan: Professional Seminar: International Seminar of Budo Culture organized by: Nippon Budokan Foundation, in cooperation with: International Budo University with the support of: Ministry of Education, Culture, Sports, Science and Technology. Itzik started Karate at school. He went on his way with his teachers, Florentine and Shachnovic Sensei in traditional karate club until they stopped teaching in 1988. 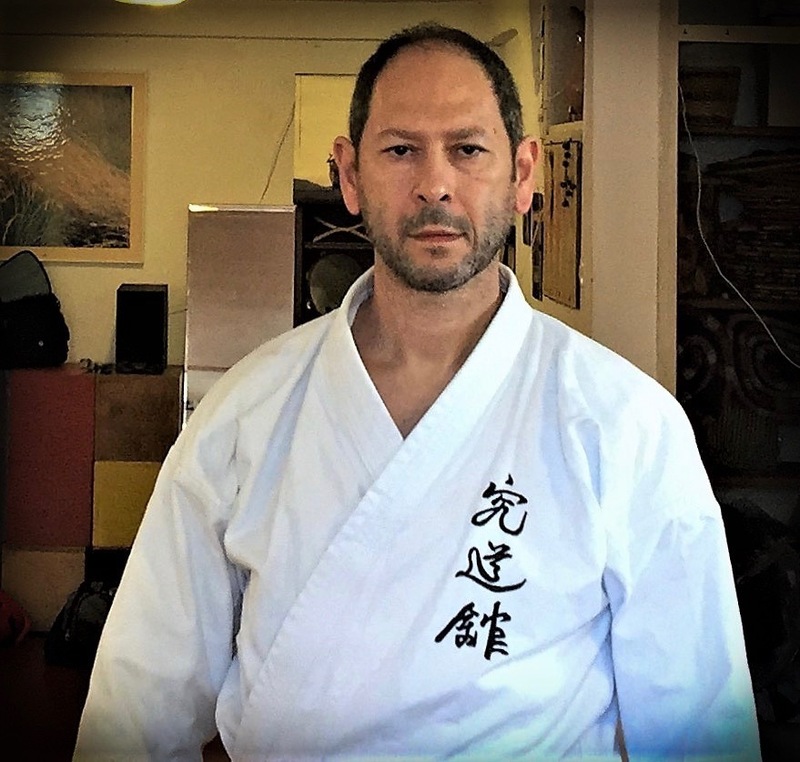 Itzik has continued to be active in the organization with Sanshinkan founder, Soke Weber, who he first met in the early Eighties, and with Schleyen Sensei, head of the organization in Israel. 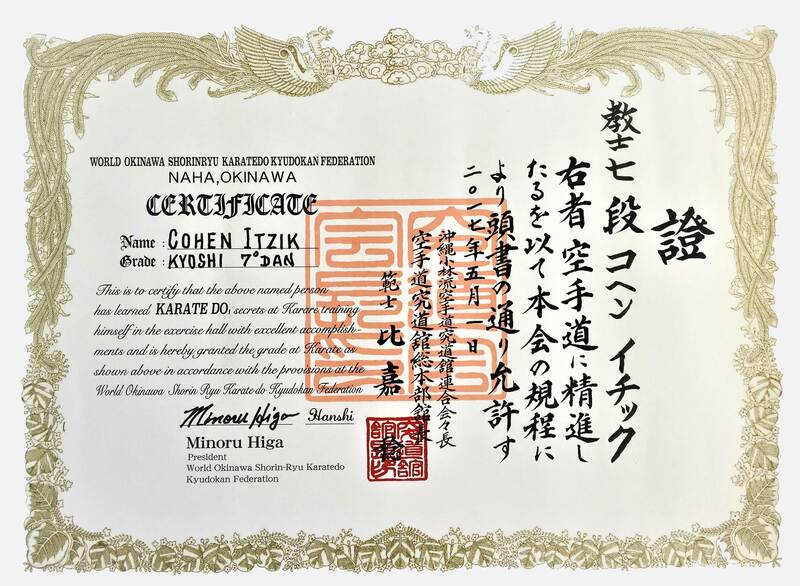 Itzik achieved 7th Dan Shito-Ryu Sanshinkan Karate Do. 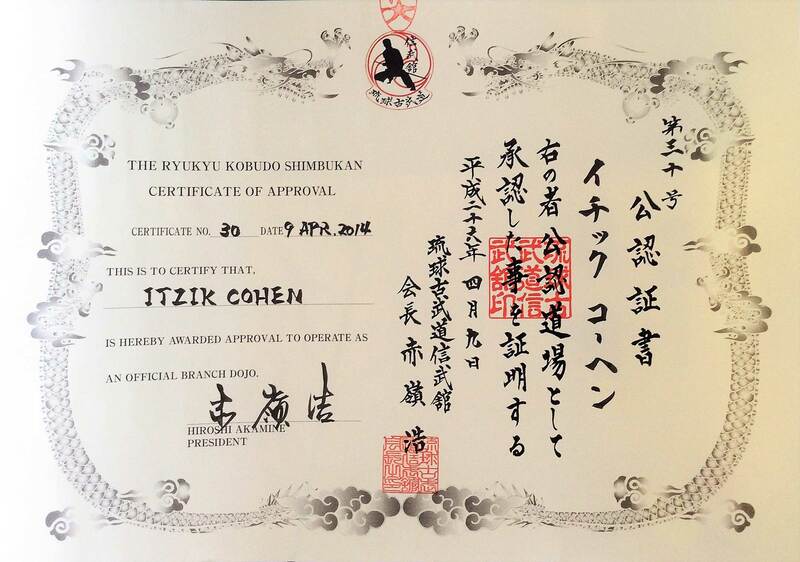 Today Itzik is member of Okinawa Kobayashi Shorin Ryu Karate-Do Association and the head of the Israel Shobu Dojo under the direct tutelage of Kaicho Higa Minoru. 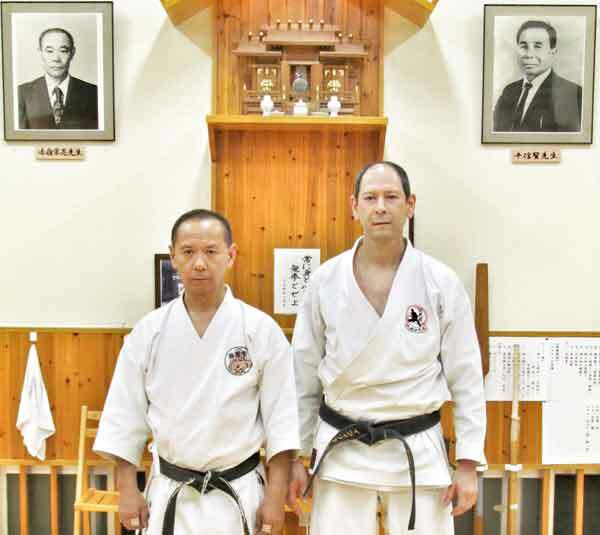 First contact with the Kobudo organization was on August 1999, when Effi Schleyen Sensei hosted for the first time in Israel, Akmina Hiroshi Sensei, Kuniyoshi Sensei and Paul Vermiglio Sensei, which helped to build the organization in the country. In 2001, with Effi S. and Paul V. blessing, Itzik C. was hosted by Akamine Hiroshi Sensei at the organization main branch in Okinawa. Since then a close contact is maintained with the organization, now called "Ryukyu Kobudo Shimbukan", which is headed by Soke Akamine Hiroshi. Shimbukan organization continues the historic lineage of Okinawan Kobudo. Soke Akamine Hiroshi is the successor of Akamine Eisuke Dai-Sensei, Taira Shinken senior student. In the last years a warm contact has been established with Kyudokan, headed by Higa Minoru Sensei – Kobayashi Shorin Ryu and today we are part of Kyudokan. Itzik: "Few are those who honored to walk step by step with their teacher since the days of innocence in which they are active for more than thirty years." In 1987 Itzik began teaching children groups (including hyper active children) and over the years continued to train teens and adults. Constant contact is maintained with his teachers Europe and Okinawa / Japan. Accumulate experience over the years: Korindo-Aikido by Shlomo David Sensei, Qing-Yi (Xing-Yi) by Sifu Abi Moriya and Iai-Jutsu by Tomer Akoka Sensei. My thanks to the teachers who kindly hosted me and shared with me their vast knowledge and experience. Self Defence cources - Itzik holds 5th Dan in Self Defence and Military Empty-Hand Close-Comat. Lectures about the application of Martial Arts in modern world. Okinawam Karate. 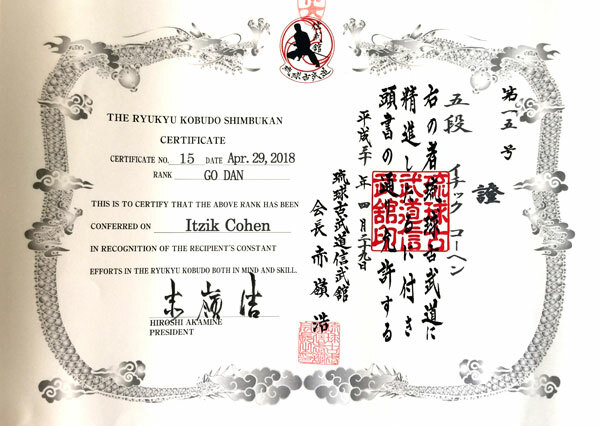 Official Branch Dojo of Kyudokan Kobayashi Shorin Ryu Karate. Ryukyu Kobudo Shimbukan - The Art of using Okinawan Weapons. Health Maintenance exercises – Ancient series of exercises that can be traced deep to Tao and Soft Faced of Martial Arts. 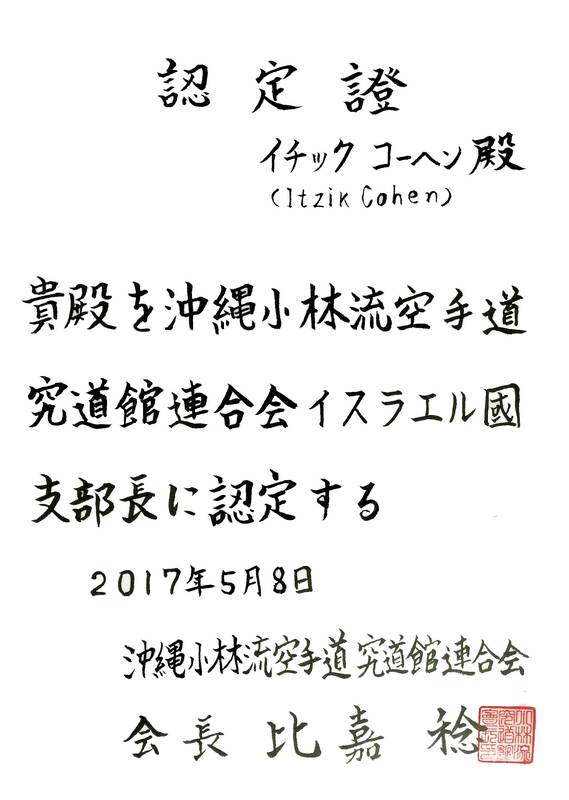 Itzik Cohen wrote a book, a fruit of long research that investigates Karate roots and development process pre-20th century, during the previous millennium. Itzik holds purposive approach that combines culture and tradition with modern knowledge. Intelligent combination of these factors along with patience and ethics will lead the disciple with appropriate rewards in everyday life. Itzik's Author Page on Amazon. Press: articles in Israel and abroad.